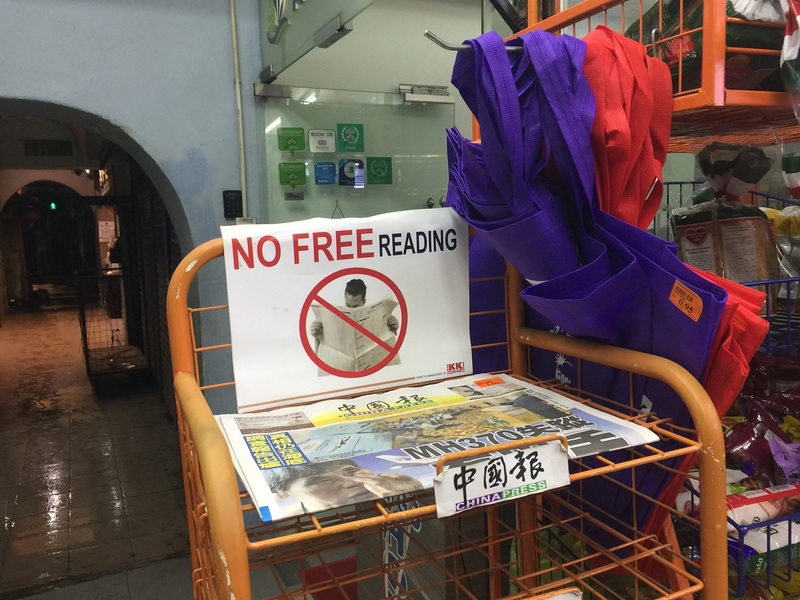 As someone who has spent the last ten plus years working to facilitate open access of reading I had to pause and laugh at the blunt reality of this sign when recently wandering through the Chinatown area of Kuala Lumpur, Malaysia. 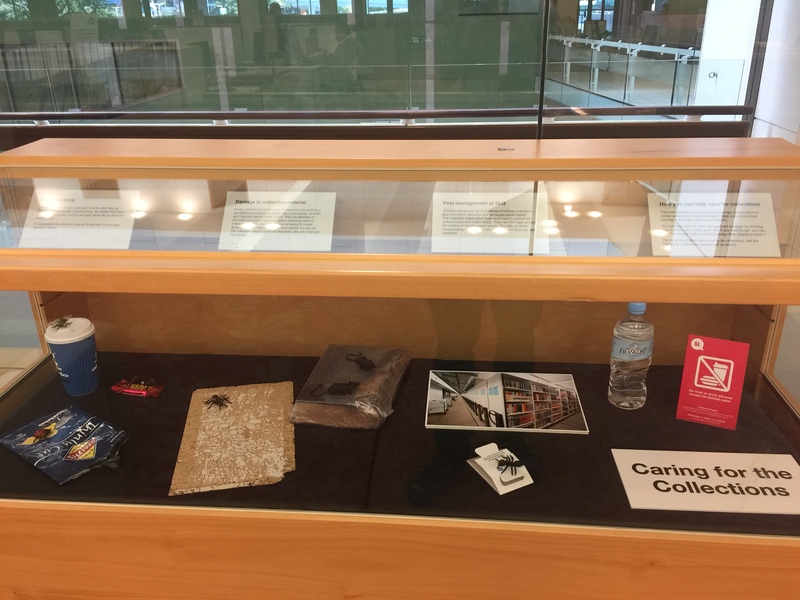 When I returned home I visited once again the Queensland State Library and this time paused to examine a display cabinet near the entrance of the third floor’s “study and research” spaces. I expected to see some precious historical artefacts but instead saw it housing items that most libraries forbid in their reading areas, along with “preserved” mice and other beasties attracted by them. They were, of course, accompanied by information cards explaining the damage they each inflict on the collection. Back to Kuala Lumpur for this one. 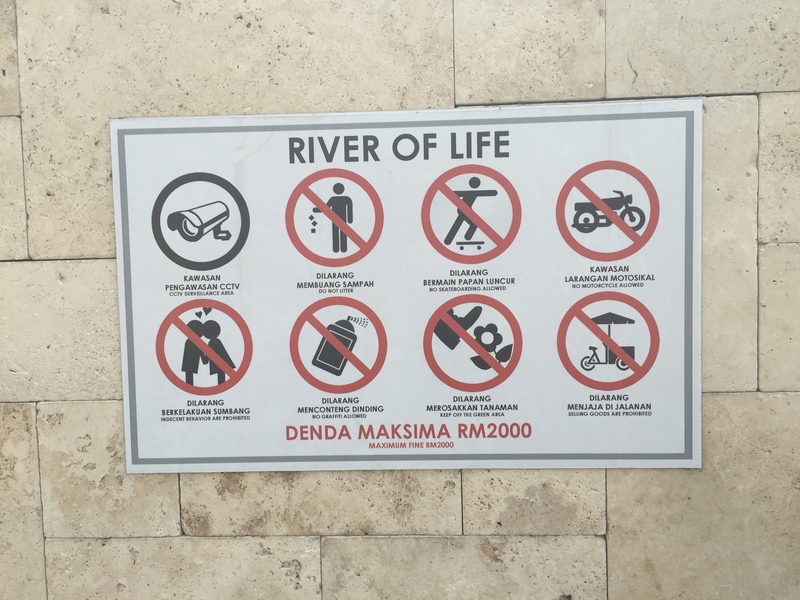 In the old historic part of the city is a scenic spot with a flowing river and signage to alert visitors they were in the presence of the River of Life. There is an old mosque there and other interesting buildings and various signs to remind Westerners of the “thou shalt nots” that once accompanied their Edenic Tree of Life. 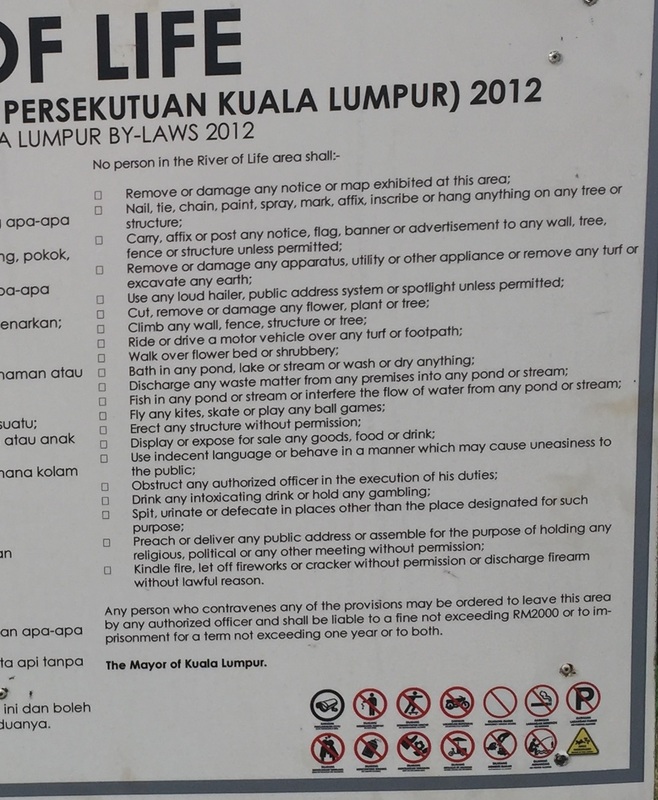 I don’t know what that empty circle with the “Forbidden” line through it is warning against (top row, third from the right). “No [fill in blank]”? — to cover those moments they catch you doing something they had forgotten to list? I love the ban on romantic kissing sign. Much more discreet than our western images of naked Adam and Eve. I see technology is introduced to help God keep a better eye on what’s going on nowadays. Posted on 2018-08-18 00:10:30 GMT+0000 by Neil Godfrey. This entry was posted in Uncategorized and tagged Signage. Bookmark the permalink. How can it be a River of Life without indecent behavior?